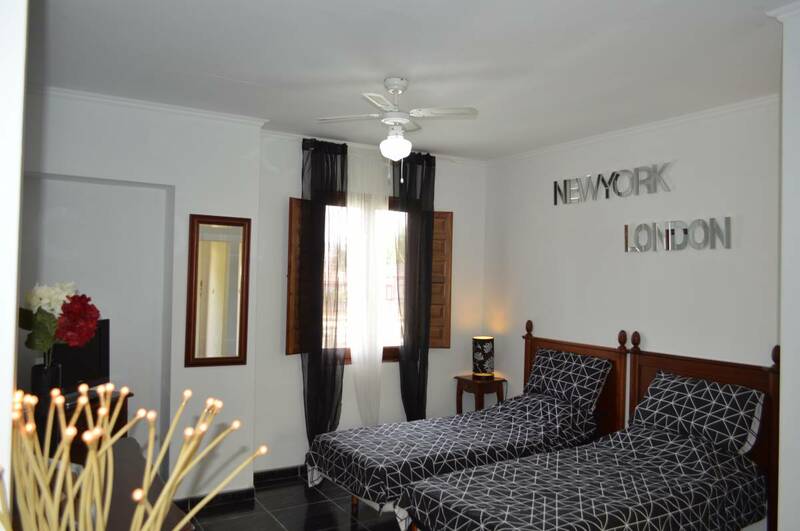 Casa Manhattan is a clean family run Guesthouse with help and advice at hand when needed. All towels and bedding is provided. There is free car parking. Each room at Casa Manhattan Guesthouse has its own private external door and are equipped with a private bathroom, air conditioning, ceiling fan, TV, kettle free toiletries and a hairdryer. 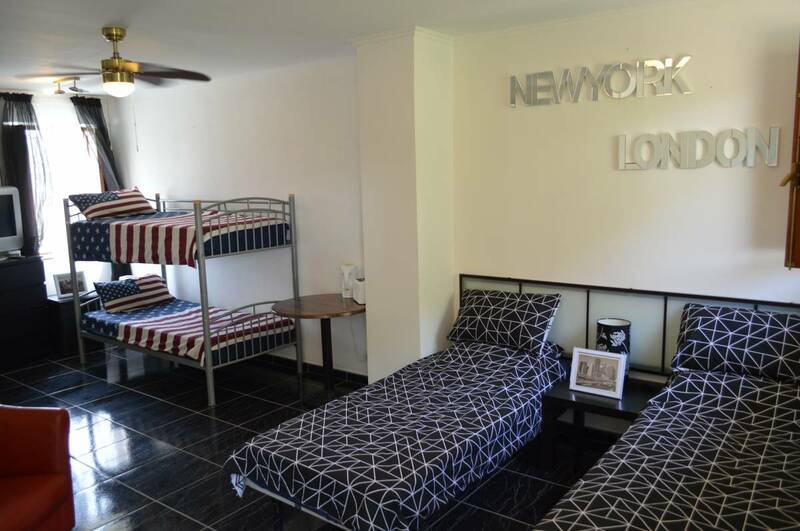 We have double, twin, triple and a family room with a double and bunk beds. There is an outdoor pool to dip in on the long hot summer days. On request when booking we can provide a full English breakfast or vegetarian equivalent at an extra charge of 8 euro PP and delivered to your room. 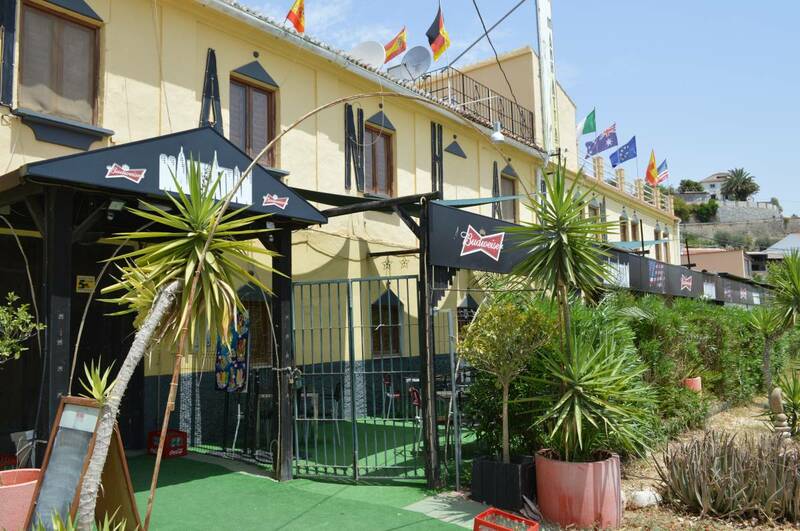 We are in a prime location at Alora train station with access to the Airport and the coastal towns of Malaga, Benalmádena, Torremolinos, Fuengirola. Alternative bus services are available with access to all of the Costa Del Sol and Gibraltar. This is a great advantage for those wishing to have a car free holiday. 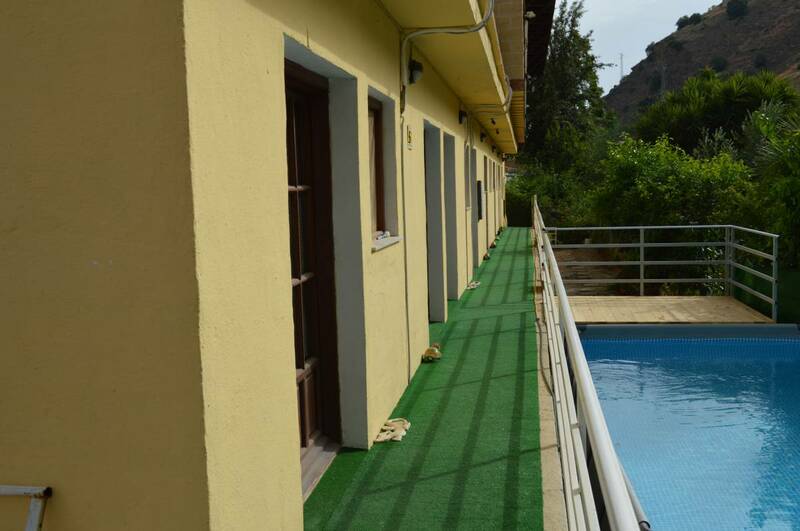 We are situated in the country town of Alora 40 km north of Málaga by the Guadalhorce river. Recently we have became a popular hub for guests that wish to visit the famous Caminito Del Rey (The cliff hanging Kings Walk) which is a must for anyone's bucket list. Tickets can be booked online. This area is steeped in history with so many interesting places to visit such as The local Lakes at El Chorro where you can hire a canoe or pedalo, go swimming, bird watching, walking or enjoy the Andalucian cuisine in the local Restaurants while adoring the stunning views. The experience of visiting Torcal Natural Park is difficult to describe as the area has an eerie silence in a bowl on a mountain that appears to be surrounded by apartment blocks. In fact they are rocks that have been victims of the whole area being under the sea until one hundred million years ago and are split horizontally. Very strange but all explained in the on site Museum next to the Cafe. Well worth the short trip! Arab Castle is on a hill that overlooks Casa Manhattan Guesthouse. Álora's castle was first built by the Phoenicians and subsequently expanded under Roman rule. In the 5th century the castle was virtually destroyed by the Visigoths, only to be rebuilt under the Moors; remnants of this era still remain, namely the decorative steel door and the traditional Arab mirador. 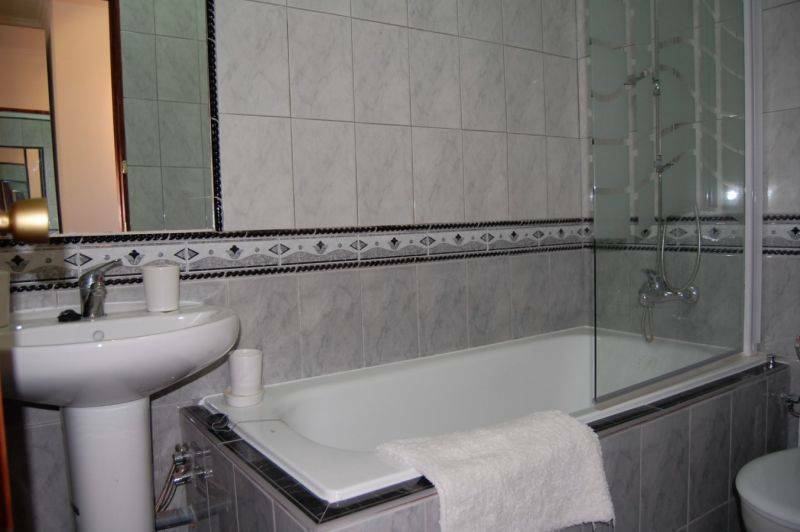 All en suite, Views front and rear, Ceiling fan, Air Conditioning, Heating, Private external access for each room. 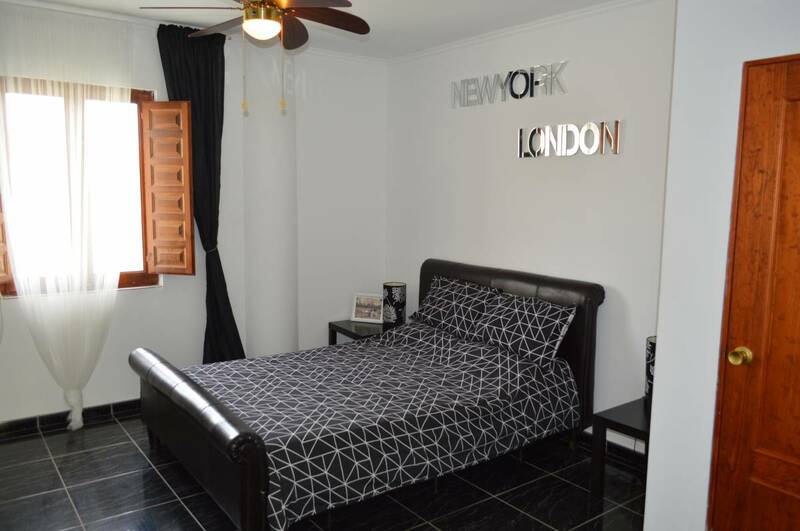 Walking distance from shops, bank, pharmacy, restaurants and bars. If You Like Goat Try Here. Our rates are for double or twin rooms shared by two. One added bed (person) to a room = 10 Euro extra. Off season on block bookings. Please ask. turn right as you leave the sation on to the street and then first left. Drive past the entrance to Alora train station and take the first left at the end of the cobbled part of the street.